In 2015, first-year manager Paul Molitor led the Minnesota Twins to an 83-79 win, the team’s first .500 season since 2010. Because of that, they did not make their first draft pick in 2016 until pick #15. However, they had four of the first 74 picks in that 2016 MLB draft. It is very early in their development, just over two years since they were drafted, but to this point it should be deemed a very strong draft for the Twins, full of potential big leaguers. Recently, I caught up with former Twins scouting director Deron Johnson to discuss his final draft picks. Find out a little more about what the Twins’ scouts saw in their draft picks. Today, we’ll look at those first four picks (Alex Kirilloff, Ben Rortvedt, Jose Miranda and Akil Baddoo) and, coming soon, we’ll dig a little deeper into the other players selected that year that have developed well so far. Johnson, as you recall, became the Twins scouting director in 2008 and held the position through the 2016 season when he received his promotion to the Senior Scouting Advisor role. Alex Kirilloff has been one of the most impressive hitters in all of minor league baseball in 2018. Ben Rortvedt’s development both at the plate and behind the plate has been noticed by the organization. Jose Miranda’s 2018 season started slow in Cedar Rapids, but he’s been raking since and recently earned his promotion to Ft. Myers. Akil Baddoo remains in Cedar Rapids at this point, but he’s been very impressive at the plate and in center field and continues to improve. Here is a quick look back at the top four Twins draft picks in 2016 through the eyes of Deron Johnson. That layoff, of course, was missing the 2017 season due to Tommy John surgery. As you know, Kirilloff has not only been arguably the top hitter in the Twins minor leagues this year, but maybe one of the best in all of minor league baseball. He spent the first 65 games of his 2018 season in Cedar Rapids. He hit .333/.391/.607 (.999) with 20 doubles, five triples, 13 home runs and 56 RBI. He played in the Midwest League All-Star Game and then immediately was promoted to Ft. Myers. He represented the Twins on Team USA at the Futures Game, and went 2-for-2. In his 47 games with the Miracle, he has hit .365/.385/.547 (.932) with 19 doubles, two triples, four home runs and 37 RBI. The Twins used the 15th overall pick to take Kirilloff who played high school ball for Plum High School near Pittsburgh. While they drafted him in 2016, they had known about him for a couple of years already. He made a major impression on Johnson at Petco Park in San Diego a year before the draft. There is this perception that players from northern states can’t get seen by scouts as easily as players from southern states. There is some truth to that, but the top prep players now are playing in the summer baseball circuit across the country, and they are the showcases necessary if players want to get drafted. That is where Rortvedt was first seen. Rortvedt was the Twins second-round draft pick, the 56th overall pick in the draft, out of Verona High School in Verona, Wisconsin. He split that season between the GCL and Elizabethton. He made the jump to Cedar Rapids in 2017, and admittedly he struggled with the bat. But he was gaining experience and making improvements. He returned to Cedar Rapids to start the 2018 season. In 39 games, he hit .276/.325/.386 (.711) with 12 extra base hits. He has now played 39 games since being promoted to Ft. Myers. He has hit .244/.342/.351 (.693) with eight extra base hits (including a two home run game). Behind the plate, he is blessed with a very strong arm and has gained a reputation for working well with his pitchers. But there is a thought, a hope that he will be able to continue making strides offensively as well. The Twins added the 73rd overall pick in the 2017 as part of the compensation round. Miranda was another guy that the Twins had seen quite a bit of, including at a Perfect Game event. He started out this season at Cedar Rapids and like the weather conditions, he was cold. As the temperatures, Miranda’s bat heated up. In 104 total games with the Kernels, he hit .277/.326/.434 (.760) with 22 doubles, 13 home runs and 72 RBI. He has now played in eight games since being promoted to the Ft. Myers Miracle. Miranda was drafted as a shortstop, but it was known that he wouldn’t stay there, though he did make one start there since joining the Miracle. He split much of his time in Cedar Rapids between second base and third base. In the 2015 draft, the Twins used their second round pick (73rd pick) on right-handed pitcher Kyle Cody, a Wisconsin native who had spent three years at the University of Kentucky. For a few reasons, Cody did not sign with the Twins. Because they did not sign him, the Twins received the 74th overall pick of the 2016 draft. The Twins went to a familiar place for this selection. They signed a tremendous athlete out of high school in Georgia. In 2010, they drafted Niko Goodrum out of Fayette County High School in Georgia. In 2012, the Twins used the second overall pick in the draft on Byron Buxton who went to Appling County High School in Baxley, Georgia. Akil Baddoo continues that line of Twins great athletes selected by the Twins out of Georgia. Georgia Tech and Kennesaw State are a couple of powerhouse colleges, but the prep ranks are loaded with great talent. In fact, when the Twins used the 74th overall pick in Akil Baddoo, he became the seventh Georgia high school kid drafted in 2016. Josh Lowe was the 13th overall pick by the Rays. With the 14th pick, Cleveland’s selection was Will Benson. Carter Kierboom was the 28th overall pick by the Nationals. Taylor Trammell went to the Reds with the 35th pick. The Angels selected Brandon Marsh with the 60th overall pick. Alex Speas went #63 to the Texas Rangers. Johnson saw all of them, but he wondered why Baddoo wasn’t always mentioned in the same breath as some of those top picks. He was seen a lot the summer before he was drafted. But it was very late in the summer when Baddoo took another step forward in the eyes of the Twins scouts. Baddoo was the Twins Daily choice for short-season Minor League Hitter of the Year in 2017when he split the season between the GCL and Elizabethton. He has now played in 101 games this season for the Cedar Rapids Kernels. He has hit .241/.354/.413 (.767) with 19 doubles, nine triples and ten home runs. He also has 21 stolen bases in 26 attempts. It is certainly not normal for a team to use four draft picks in the top two rounds and use each of them on high school hitters. To this point, the Twins front office has to be thrilled with all four picks. Each has experienced success and advanced up the organizational ladder appropriately, maybe even aggressive in some cases. 2016 was Deron Johnson’s final draft as scouting director, replaced by Sean Johnson. He says he is enjoying his new role where he gets to scout in many places. He was involved in the amateur scouting, the pro scouting and has had a chance to do some work internationally as well. But he has the right to be proud and excited about what the future might hold for his final draft. But what is just as exciting as the top four picks, there are several other players that the Twins drafted in 2016 who remain in the organization and also have a chance to reach the big leagues. Will they? There’s no way to know that yet, of course, but several are on the right path. Soon, we will continue the conversation with Deron Johnson and discuss the rest of the Twins 2016 draft. It is a draft class that the Twins and their front office should be excited about. Thanks Seth and Deron. I love reading this stuff. Lets bookmark this page and hope we're looking back at it in 25 years or something, saying "remember when..."
Wonderful read! Though I have zero faith in Deron Johnson. Funny thing is that those weren't the only prep guys they took. Blazovic and Benninghoff were both taken (though Benninghoff was already in TJS recovery at the time), though neither of these guys have really shined so far. On the college side, the got Tyler Wells and Griffen Jax. This draft is looking to be a monster draft. Thanks, Seth.Great draft for the Twins.Just got to get all of them to Target Field! “He’s from out in the country, a little town called Conyers"
That little town, is on I-20, east side of Atlanta, now considered in metro. Travel ball is crazy down here.I was talking to a Mother whose son is a,6'1" Junior, pitcher, radar reading at 94 mph but has excellent slider and change up.Mets been scouting him for 2 yrs.He's on a elite team, coached by ex mlb player, travel all over country.Has 2 kids from Canada that stay here and are on the team. They just had their son return from AZ, he was pumped.Flew 1st class and back.Otherwise, Mom and Dad log lots of weekend miles and Motels. Heck of a sacrifice on their part. Once High School season starts, the elite travel ball is shut down. I'm surprised to hear his defense has improved immensely. The things he's praised for here are the things that were said when he was drafted, and also were the things that jumped out at me when I saw him in Spring Training in 2017. "Improved immensely" usually is more of a left-handed compliment. Also, I am amused/intrigued about the squared jaw and so forth. It's a cliche that old-school scouts look for "the good face", and here it's stated in almost comically direct terms. It's fine, and may even be shorthand for valuable traits (such as adequate testosterone for the tasks at hand), but still seems less than a scalpel-sharp way of going about it in these analytically-aware times. Does the Collective Bargaining Agreement permit blood tests and DNA testing? Is Ben a 75 on the Face Tool scale? Yep, absolutely loved this draft. Wow, Wells is second in whip. I hadn't realized quite how nice his season had been. Have to laugh when Deron Johnson says "We got a lot of looks at him". I was thinking that too. Sounds like something Michael Lewis would make fun of in Moneyball. How's his girlfriend look? That's what I want to know. Kirilloff doubled in the second (#20 at FTM) and Rortvedt singled him in. This is pretty funny. I also wonder if people make positive attributions on certain names/frames that sound and look strong DNA wise. I've suspected that part of the Travis Blankenhorn ranking has to do with his name/appearance. If he were named more generically like Jim Smith or Jose Rodriquez would people rank him as highly? He's truly making a mockery of the league. No reason for him to see A ball again after this season. Re: Rortvedt:He is hitting worse than Butera did in high A. Just sayin'regarding that "improvement".Does not need to do much to improve from a below .600 OPS your first 2 seasons as a pro.Whether that might be enough to make him a major leaguer and not yet another high pick wasted under Deron Johnson, is yet to be determined. Wish that someone asked this guy about Levi Michael, Trevor Harrison, Boyd, Bauer, Shooter Hunt, the closers to be turned into starters strategy, and the rest. I'm pretty sure none of that matters even a little bit. Of course, Drew Butera was 3-years older at the time... Oh, and he's in his 9th MLB season...And, anyone who watched Rortvedt last year and watched him again this year and worries about the numbers just isn't watching. He's made some solid strides. No one is saying that he is a finished project. It'll take him a while to get to the big leagues, but he's got a chance. I'm not highly satisfied with Ben's numbers yet, either. But I would not attempt to compare a college draftee playing at high-A at age 23 with a high schooler who is there at age 20. It's just not a comp. No way no how. You're kidding, right? I think you've kicked this dead horse enough for all of us. Byron Buxton (1) *bad pick by Deron Johnson? Andrew Vasquez (950)* Hildenberger/ Taylor Rogers-type long shot? I learn two lessons from this list. One, when we look at the entire body of work under Deron Johnson and crew, the stinkers like Tyler Jay, while glaring and disappointing, do not allow one to be credible in their disparagement, but instead, they are allowed to either be unfair in their criticism or ignorant of the facts. Second, we don't even know that much by looking at such a list without COMPARING results against peers, and no, citing the MLB won-loss record isn't evidence of anything, really. Dereck Rodriguez and Aaron Hicks were still solid selections. Over time, I've done some of my own comparing, just to see if I'm missing something by holding onto a view that the Twins have had other problems that far outstrip any systemic issues with scouting and talent evaluation. I have yet to be dissuaded. But i"m still open to it. Moderator's note: OK, this is getting overly personal. Let's keep it about the topic. PS: Bird, you don't seem to be able to receive new Private Messages - please check whether your mailbox here is full. As for 2016, it will obviously be awhile before anyone can proclaim it to be the monster draft that it shows the promise to be. If it fulfills its promise, Deron Johnson will probably still be humble enough to mention all the "we's". "We had a lot of looks." And he should pass along the credit. 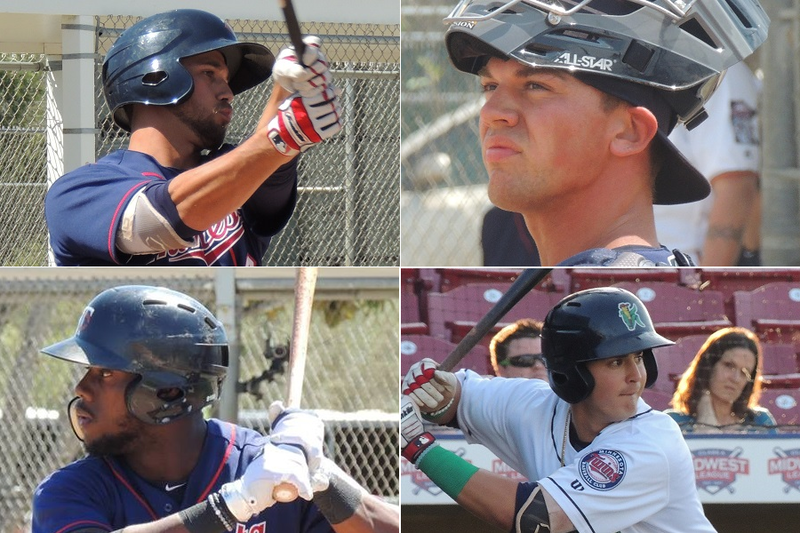 A lot of those "looks" at Kirilloff were by the same scouts who had looks at, say, Levi Michael, Brian Dozier, Travis Harrison, Trevor Hildenberger, Hudson Boyd, and Taylor Rogers. Again, to blame scouting for failures and not credit the same scouts for success, and then to conclude that the bad results indicate ineptitude? Help me out with that. Explain why the successes happened. Some decisions that produce bad results can't be defended. But some can. Of the 30 prospects selected after Levi Michael in a notoriously shallow draft pool, only 7 have produced positive WAR as MLB players, less than 25%, so perhaps organizations should be forgiven if their particular selection isn't one of the success stories. Of the 10 prospects selected after Travis Harrison, only one is a major leaguer. Should we expect our organization to have passed on Harrison and the 9 other failures and hit on the one success story? And teams can't expect to know these prospects well enough to predict which individuals will suffer from addiction, mental health problems, and injuries. Which means that if 2016 IS in fact a great class, luck will have factored into it to some extent. It's hard to have faith in a guy who gave us all those monster drafts.